Recently the draft version of the first revision of the ISO 31000 standard has become available for purchase and review. (https://www.iso.org/obp/ui/#iso:std:iso:31000:dis:ed-2:v1:en) and a first rather drastic change is immediately visible in the introduction of the standard, as it really catches the eye. 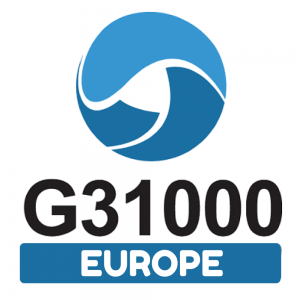 In this first article comparing the ISO 31000 (2009) standard with the draft ISO 31000 (2017) version, I will comment on the changes in the introduction part of this standard. 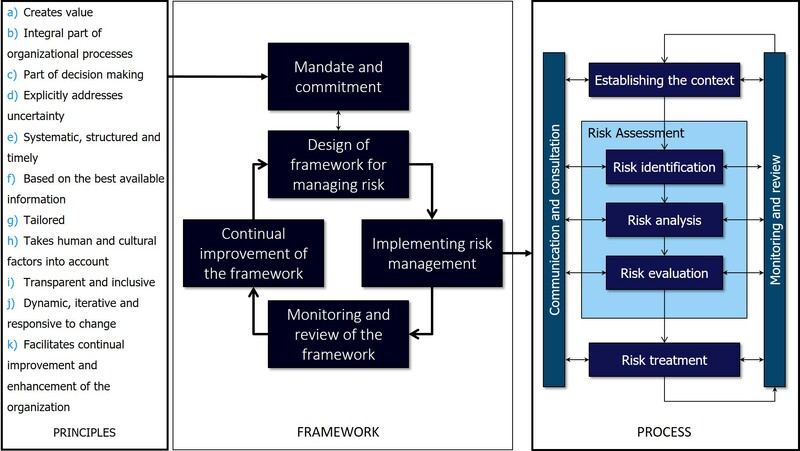 The graphic (Figure 1 – Relationships between the risk management principles, framework and process) that summarize the standard’s components, has changed considerably and I don’t know yet if this is an improvement or not. 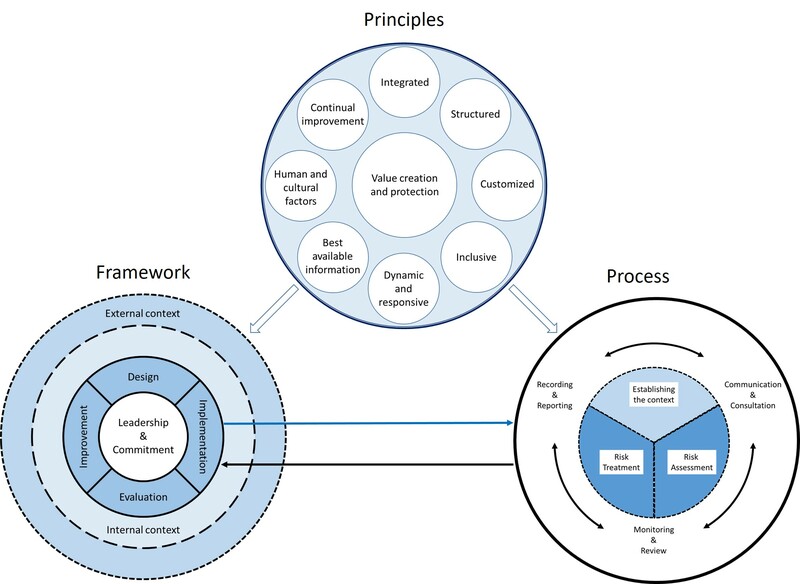 I have always regarded the picture (above) of the ISO 31000 principles, framework and process on one page a highlight and strength of the ISO 31000 (2009) standard. With only a minimum explanation, this image was sufficient to get to know and understand the standard and how risk management is to be structured from the strategic tot the execution levels and how it could be implemented and used in any organisation, whatever the size, sector or industry. Now, at a first glance, I’m afraid that clarity, at least to me, is somewhat lost. Judge for yourself and tell me what you see in the figure below compared to the figure above. Furthermore, when reading the introduction, it is immediately clear that a lot of text has disappeared. Now, in the draft version, the introduction only covers half a page of short statements, instead of two pages of more elaborated sentences in the current standard. As such, the direction of the change is immediately noticeable in these opening sentences, giving some remarkable differences for the respective introductions. I think the new version of the opening sentence of the revised introduction is a less powerful statement and tells less about risk than in the current version. Although, it indicates the direction the new version of the standard takes, trying to be more with less. But I’m not yet convinced of the result. So, maybe less is more, but where is the limit? Some matters still need to remain clear, but this is just my take on this. So, how would you have liked the opening sentence to be?